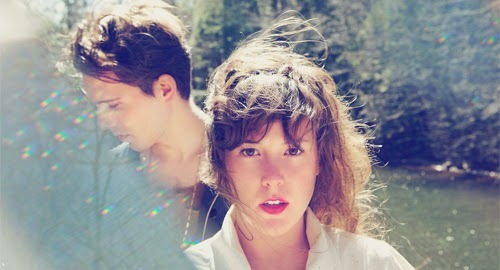 Canadian electro duo Purity Ring are achingly modern. They didn't even meet up during the recording of their debut album, 2012's Shrines. Singer Megan James and producer Corin Roddick were separated by 1,000km, recording their respective parts in Montreal and Halifax, where they were living at the time, and emailing the tracks back and forth. They managed to get together for the follow-up, although it actually raised more problems than it solved. "It was kind of like starting a new band," Megan told DIY Magazine. "It didn't work immediately," Corin added. "It took some time for us to actually learn how to write songs together." Still, the results are pretty special. Another Eternity - which is streaming in its entirety on NPR - is exactly what you would get if Chvrches produced the next Taylor Swift album. Imagine that. Or, if you'd rather, just listen to the results. Here's the latest single is, Bodyache and, below that, is Push Pull, which has been around since December.